The all-new Toyota Corolla Hatchback is here to set a new bar for what an affordable and fun hatchback should be. With prices starting at $20,980 MSRP, it builds on Toyota’s extensive lineup of award-winning vehicles with the most up to date features, engineering, and technology. 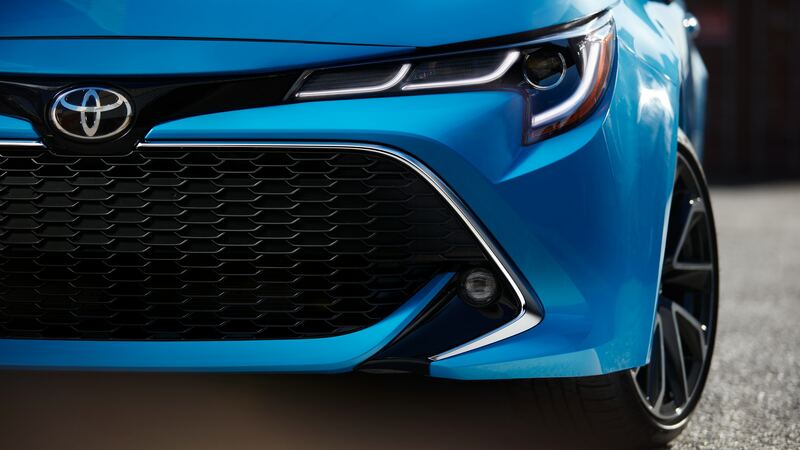 The 2019 Corolla Hatchback replaces its predecessor, the Corolla iM, with brand new design and engineering that exemplify the kind of fun and sporty look that people want. The exterior received a new design overhaul by Toyota with a bold and sporty style thanks to a big front grille, lower and wider frame, and curved edges throughout the front and back. On the inside, the interior was styled to be more comfortable and relaxing. The seats have been made with new materials and cushions, and the layout rearranged to better fit your normal positioning and contours. It also uses the latest in sound-absorbing materials throughout the vehicle to provide a quiet, calm cabin experience. In addition, the design and layout of the interior features follow the principle of minimalism and intuitiveness. It has the things you need, where you can easily access them, without overly complicated designs. The interior uses high-gloss materials, matte elements, and boldly contrasting accents to make the cabin seem clean and calm, and overall a more refined and relaxing place to be as you drive. The new style and refined design makes the Corolla Hatchback look and feel like you're getting much more than your money's worth for entry-level prices! Other options and features include more advanced technology and luxury features, including Qi wireless phone charging station, heated front seats, heated steering wheel, front and rear-zone climate control, Apple CarPlay, and Bluetooth integration with your phone. Toyota also made sure to revamp the power, handling and fuel efficiency for the new Corolla Hatchback. It comes with a 2.0L engine that creates 168 horsepower, making it one of the more powerful entry-level hatchbacks around. In addition, it comes with an CVT automative transmission with simulated 10-speed Sequential Shiftmatic steps, Sport Mode, and available paddle shifters for some extra elements of fun. Despite the increase in power, the Corolla Hatchback is also smoother, quieter, more fuel efficient, and has better handling thanks to the latest vehicle engineering. It has an improved Noise Vibration Harshness (NVH) system to maintain a quieter, more comfortable ride in the cabin. The engine is physically smaller, making the center of gravity lower so the vehicle handling is better balanced. 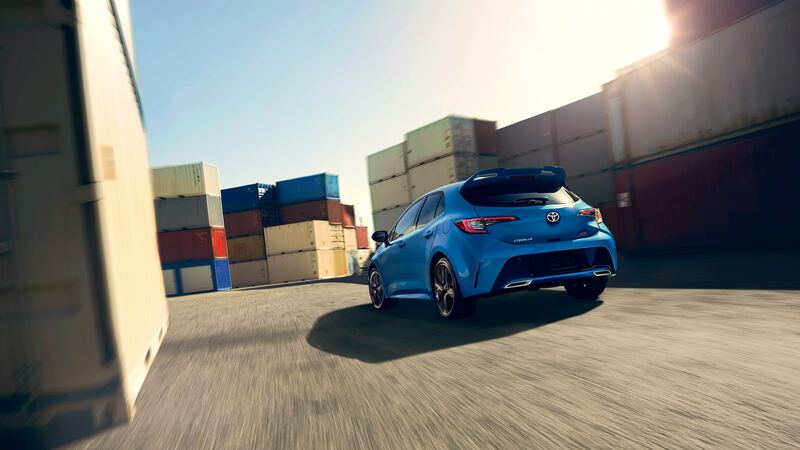 The body of the Corolla Hatchback is made with very lightweight and rigid materials to further help the speed, handling and fuel efficiency. It uses a more compact structural design with a to give the driver more control and responsiveness. In addition, the front and rear suspensions have been revised with higher-quality materials and manufacturing to further increase the stability and ride comfort. The combination of new power, improved handling, better fuel efficiency, and refined ride quality makes the Toyota Corolla Hatchback an impressively balanced car for everyone. Fill out our form below or call to ask about booking a test drive, or making a reservation on our available inventory.